Does my toddler need professional help? When my husband and I had our first child, we had no real idea of the best way to discipline a toddler. We had different upbringings and we differed on the appropriate punishment or whether we should be hitting our child when he did something wrong. I remember having lots of arguments with my husband because we often clashed over how to discipline. On the one hand my husband felt that it was completely normal and necessary even that our son was given a small smack or two on the behind when he misbehaved, I mean after all that’s how he was raised and he turned out ‘alright’ so spanking must be ok right? Although I agreed initially something inside me just didn’t feel at ease about it. We were sometimes super frustrated and at our wits end, and could relate to the way Jenifer Garner reads this bedtime story. After a while our son also started to hit us back a lot which I was fairly sure was because he was mimicking our actions towards him. It also caused a lot of crying and yelling and raised the aggression and overall tension between all of us. My husband and I needed another plan, this was not working for any of us, and just made all of us more miserable and even affected our relationship and marriage. So how do you effectively discipline a toddler without hitting them which leaves permanent scars? Does something like positive discipline even exist? How do you handle a toddler who has no problem hitting back? Not to mention, when is the right time to start? All these questions, confusion and doubt, jump to the forefront when discipline becomes the main focal point. In the end we had to sit down together and figure it out because the situation was getting worse and causing a lot of stress and tension in the home. So luckily, you are in good company, because we are going to look at all these questions…and more. 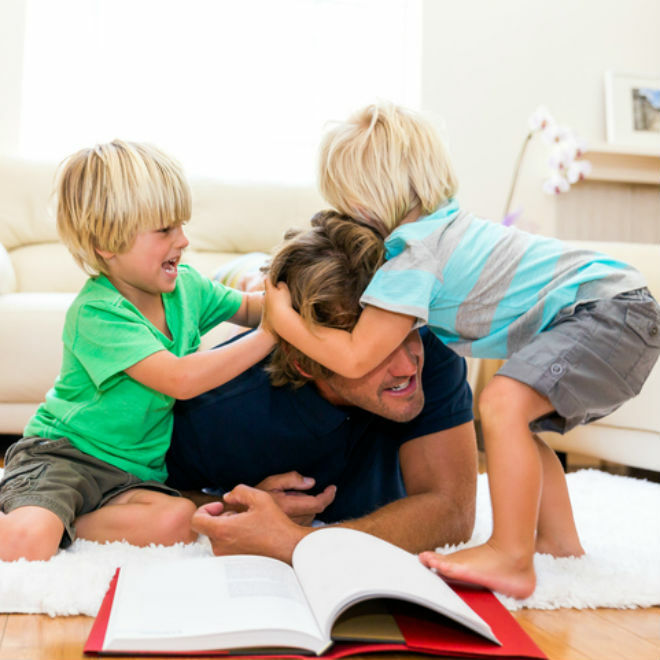 By the end of the article, you will have a greater understanding of what positive discipline is all about, as well as valuable information on how you can implement it in your family dynamic. And always remember, even you are allowed to make mistakes now and then. So, without wasting any more time, let’s dig into the art of positive discipline. Disciplining your toddler isn’t meant to be easy. And as a parent who vowed to protect your child since the moment he or she came to life, the thought of hitting them seems to contradict that vow. But if you approach discipline the right way, you can still provide them with guidelines on how to function within a society. You are reminding them that a happy life is about respecting yourself, while being considerate of those around you. If you are lucky enough to have a toddler who simply wants to test the limits, which can be very healthy in some ways, this is the first section you want to pay attention to. This is where you learn to discipline them in a positive, effective and constructive manner, without the need for shouting or hitting. There is no point in arguing with a toddler, because they have more energy and will-power to come out victorious. Plus, they have no interest in your logic. Instead, you want to focus on staying in control of your temper and thoughts. The moment you lose your cool, they get the upper hand – and they know it. So, from the start, you need to show them you are in control of your emotions and position, which automatically gives you control over the situation. And as a side-tip, when your toddler is really persistent about keeping the argument going, simply tell them you love them too much to argue, and DO. I find that another great approach is to get calmer the more worked up your child gets, and then tell them that you can only talk to them if they calm down and walk away if they carry on. In this way you show that you won’t tolerate them shouting and being physical or abusive. Come back when they stop though and then be calm and loving and listen to what they say. This pattern will work over time but don’t walk away immediately, its always better to use it as a last resort and try calm them down first. Nobody is perfect. And nobody expects you to be, except maybe your mother-in-law. But it is critical to stay consistent where rules are concerned. You toddler is going to measure when they can try what, based on how consistent you are. For example, if you address the crayon drawings on the wall today, but ignore it tomorrow, they are not going to take it seriously. Instead, they will continue to take chances, because they notice you are not consistent with enforcing the boundaries you establish. Just like you get to choose what type of parent you want to be, toddlers appreciate the same right. And while it might not seem very smart to give them a choice in a situation where they need to be disciplined, it could mean the difference between negative and positive disciplining. For instance, don’t just pull out “no” and “yes” as a reflex. Rather step out of your authority zone and present them with a choice, which will lower their level of anger, as supposed to making it worse. Of course, stick to basic choices and consequences, but let them know you trust them to make good decisions. This is one of the more difficult tips to follow, but it is very effective if you don’t want to end up in a shouting match. It also means double the work. When you catch your toddler doing something good, or entertaining a habit they enjoy, take a moment to praise them for it. Show interest and ask questions about what they are doing. But sometimes, they are going to do something bad to get your attention, and if it’s possible to ignore it, do so. If they are attempting to burn down the house just to see how big the flames can get, it’s obvious you want to stop them and inform them of dangerous it is. But if they are doing something silly for attention, ignore it, or give them a quick and firm choice to stop or face the set consequences. This way, you encourage them to turn to good behavior if they want the attention they are looking for. At such a young age, emotions don’t make any sense. They don’t always know why they feel irritated or rebellious, and it motivates them to act out. In other words, they are looking for guidance, not realizing they are asking for it via bad behavior. If you can make your toddler aware of their emotions on a regular basis, and let them know it is safe and normal to feel different things at different times, they won’t see the need to act out. And while they might not understand them, they were told by their mom it is okay to have them. And use situations where they feel happy, sad, angry, and even a little down, to talk about them. A very constructive way of defusing the situation is to divert their attention to something else. When you notice they are getting into a mood, try to change the scenery or their activity. Given that they have short attention spans, they will follow you if the activity or discussion you start up is interesting enough. How do you go about disciplining your toddler without shouting or hitting exactly? There are many ways you can approach this, but one of the most effective ones involve taking away their “luxuries”. It can be a favorite toy, book or teddy bear, or you can remove them from the situation altogether with a time out. You know your toddler better than anyone, so you need to find some leverage to work with if you want to avoid negative conflict. And once again, you can implement a choice whether they really want you to use this leverage. While it is any parent’s dream to be their child’s best friend, this is not a role you can guide them from. Be their friend when they need it, but make sure they know you are the one making the rules. Of course, there are many other benefits you’ll discover along the way, but you get the idea. When you face a toddler how lashes out and hits you, or others for that matter, it is not a sign that you have failed as a parent. It just means they have underlying frustrations they don’t know how to handle. The best way to handle this is to be the calmest person in the world. When your toddler hits you, they are asking for some serious understanding and attention. So, do what you can to prevent the hitting, using calming words and phrases, and wait out the storm. You don’t want to hurt them in the process, and even though you might feel like getting more aggressive, it will not solve the problem. In fact, the moment you feel you are going to lose your cool, leave the room. Go and take a few breathes to calm down, before going back to your toddler and addressing what happened. Gently take them by the arm or hand to get their attention, show them the places where they hit you, or somebody else if that’s the case, and make it clear why it is wrong. Then, get to those emotions mentioned above. They are struggling to deal with something, and you want to find out what it is. And it is not going to happen if both of you are too angry or too worked up. If the hitting persists, and your techniques haven’t worked, it is recommended to speak to a professional. Some problems you simply won’t be able to fix by yourself, and there is nothing wrong with asking for a little help. The quicker you can start the better. Given that you are looking for constructive and positive disciplinary measures, there is nothing wrong by establishing things they should avoid early-on in life. For example, if your eight-month-old infant reaches for your hot coffee, simply say, “No. Hot. Dangerous.” This in itself will give you the “guidance” role, and believe it or not, it is where the basics of positive disciplining start. If they know you are not going to freak out and start shouting every time they test something, which is the only way they learn about life in general, they won’t feel the need to go against your wishes. More specifically, they will recognize that you are only acting in their best interest, until they reach those teen years of course. Then, it becomes a whole other ballgame. The best place to start would be making the right distinctions. Because if you are having excessive problems with your toddler’s behavior patterns, it is only natural to wonder if a bigger issue is hiding somewhere else. This means you have to look at certain factors before you can find the right way of disciplining them. And given that every toddler is unique, they share a few common elements. The first question you should ask yourself is how well your toddler functions in a social setting. For example, are they easy-going at school? Do they get along well with others, or do they tend to make things difficult for themselves and those around them? Basically, you want to find out whether they suffer from possible impairment that prevents them from “functioning” alongside their peers and teachers on a daily basis. Toddlers need to be managed if they are going to have any structure in their life. Thus, parents and teachers develop what they regard as the best ways to manage toddlers. And for the most part, these tactics work quite well. But in some cases, there is no manageability to work with. Do you, your partner, or the teacher have reason to believe your toddler simply isn’t manageable? The last sign, or criteria if you will, is a harmful nature. In other words, are they constantly trying to get themselves hurt? Do they intentionally inflict pain upon themselves, or lash out at others for that matter? If you recognize any of these signs in your toddler, conventional discipline is going to fall short. In fact, you will only end up more frustrated, which leads to impulsive decisions and actions you can’t take back afterward. Be honest with yourself when asking yourself these tough questions, and if you see these patterns, it is best to consider a professional approach.